Excited tourists from all over the globe were preparing for "the trip of a lifetime" yesterday when The Jacobite train pulled out of its buffers in Fort William for its 26th year. Passengers on The Jacobite Famous Steam Train were left slightly baffled yesterday when there was no steam to be seen on the first trip of the season. A north-east football hooligan has been fined £400 for assaulting a man on a train on the way back from a match. Network Rail has completed a £57 million upgrade on the Highland main line between Inverness and Perth. A train conductor was punched in the stomach after asking two passengers to produce a valid rail ticket. A broken down train is causing major disruption to north and north-east train commuters this morning. An Inverness councillor is calling for a park and ride system to be introduced in the city to help reduce congestion. A teenager has been sexually assaulted on a morning train. A signalling fault has resulted in a number of Aberdeen train services being delayed this afternoon. West Aberdeenshire and Kincardine MP Andrew Bowie has apologised after claiming back a £202 rail fare that was not connected to his Commons work. A heritage trust is steaming ahead with work to transform a former locomotive depot into a working railway site in the city. No further investigations into the derailment of a train at Stonehaven can be justified, a report has said. The driver of a train which derailed in Stonehaven resulting in days of major travel delays for hundreds of passengers subsequently failed a drug test, it is understood. A three-day railway closure between Aberdeen and Dundee finally finally ended last night after a major investigation and repair effort. Aberdeen rail passengers have seen major disruption after services travelling south of the city were cancelled following a train derailment. Signal faults between Aberdeen and Dyce are causing delays for train commuters this morning. An Aberdeen student and railway enthusiast hopes to steam to glory in a major new television competition. 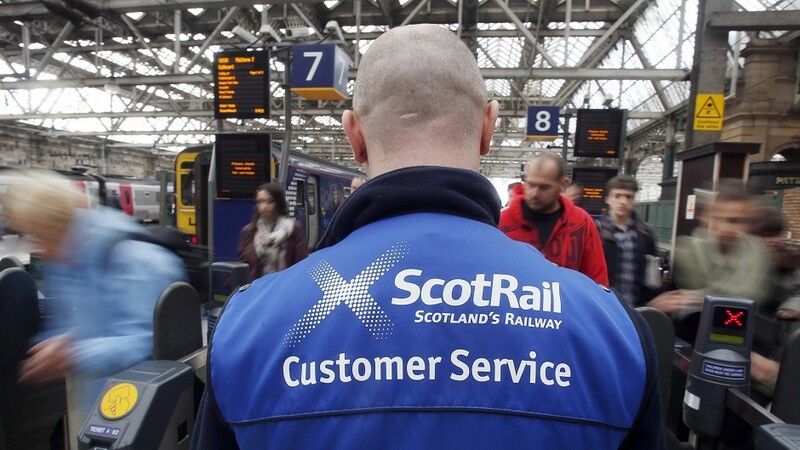 Rail users could be put off travelling by train when fare prices significantly jump next year, Scottish Labour has warned. Works on a major rail programme between Aberdeen and Inverness will run 24 hours a day, seven days a week, for more than a month. Long delays between Aberdeen and Inverness are expected after a ScotRail train struck cattle on the railway line and is now unable to move. A train struck a large piece of rail left on a track in Inverness following engineering work, the Rail Accident Investigation Branch (RAIB) has said. Caledonian Sleeper has announced the cancellation of all its scheduled services tonight. North-east police are continuing to seek assistance from the public to trace a missing 65-year-old man who was last seen in the Granite City. A long-awaited sleeper rail service linking Caithness with the central belt will move the county forward and enhance tourism to the north, according to Highland Council’s Conservative transport spokesman. A probe has been launched by the Rail Accident Investigation Branch (RAIB) into an incident in which a train was derailed by a landslip on the famous West Highland Line. A train stuck in the west Highlands after a landslip earlier this week will be moved today. Officers from British Transport Police in Aberdeen are appealing for the public’s help in investigating a bag theft on an Edinburgh-bound train. Network Rail has implemented safety improvements at a Highland level crossing - a decade after a horror crash there which killed two teenagers. An explosion on a London Underground train which sent passengers and those in the vicinity fleeing in fear is being treated as a terrorist incident by police. British Transport Police have launched an investigation into sectarian singing on a train to an Aberdeen football game.